Author Zion NefeshPosted on April 20, 2009 Categories NÚMEROS, Torah - SpanishLeave a comment on BaMidbar.-Abejas y Números….¿Pensamiento Loco? Author Zion NefeshPosted on April 20, 2009 Categories NÚMEROS, Torah - SpanishLeave a comment on Pinjas – Yo no soy importante, ¿lo eres tú? Author Zion NefeshPosted on April 20, 2009 Categories NÚMEROS, Torah - SpanishLeave a comment on Koraj – ¿Que es la furia de Di-s? Beha’alotecha – La puerta del Mesías. 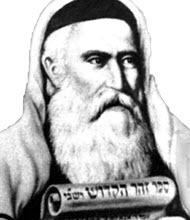 Author Zion NefeshPosted on April 20, 2009 September 12, 2009 Categories NÚMEROS, Torah - SpanishLeave a comment on Beha’alotecha – La puerta del Mesías.